What made the experience of listening to The Exorcist the most enjoyable? I’d read the book already, years ago, so I already knew the story. What made this so special was the fact that it was an audiobook, so I got treated to demonic voices and stuff right in my ears, and not just as writing. It was scary enough to read, it got cranked all the way to 11 as an audiobook. What was one of the most memorable moments of The Exorcist? The part that really stays with me is the part when Karras is listening to the tape of Regan’s voice played backwards and realizes that the gibberish she was speaking wasn’t gibberish at all, but english, spoken perfectly backwards. So very, very creepy. Have you listened to any of William Peter Blatty and Eliana Shaskan ’s other performances before? How does this one compare? Nope, never have. I was rather impressed with Blatty’s performance, too. He really gave it his all. 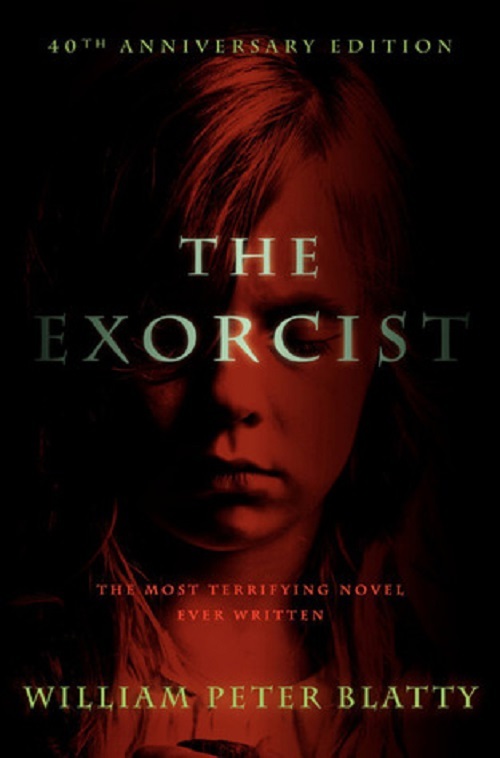 If you could rename The Exorcist, what would you call it? I wouldn’t dream of it. It’s such an iconic title, there’s no way I’d change it, even if I could. There’s really not much else to say. It’s perfect. Just the right amount of thrills and even some gore, but still manages to not go over the top, as is so easy to do with this type of story. 10/10. I wasn’t even aware there was a book, thank you for enlightening me. A surprising amount of people don’t know that. I try spread the word, the book is absolutely amazing. And spread the word well you do sister.